Farmers and ranchers are the brightest stars of our universe. Agriculture is the best thing this country has going for it; it is one of the few things still made in America, and one of the things of which we should be most proud. We must support the ranchers and farmers. They feed the world, and they work awfully hard to do it. They don’t take holidays, quit working because it’s their birthday, or punch out at 5 o’clock. How could anyone — especially in our industry — not have the most immense respect for what they do? “I went to school to learn how to tell stories through journalism, and now I get to tell the greatest story … the story of ranchers. Not only do they produce delicious and nutritious beef for the world, but they are genuinely great people. Their homes are always welcoming, and you are immediately family to them. This kindness is why I love my job!”— Lauren Chase, multimedia outreach specialist for the Montana Stockgrowers Association. It all goes back to the individuals who grow our food. They affect millions of people throughout the supply chain, from the truck driver to the meat buyer, from the butcher or chef to the end user. We all have the farmers and ranchers to thank. 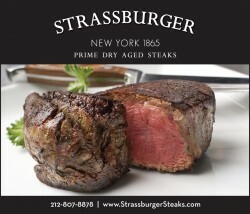 They have a vast and varied amount of consumers to satisfy — steakhouses, foodservice and retail — and they provide for them all. Today, there are fewer farms now needing to feed more people, so they produce more with increased efficiency. 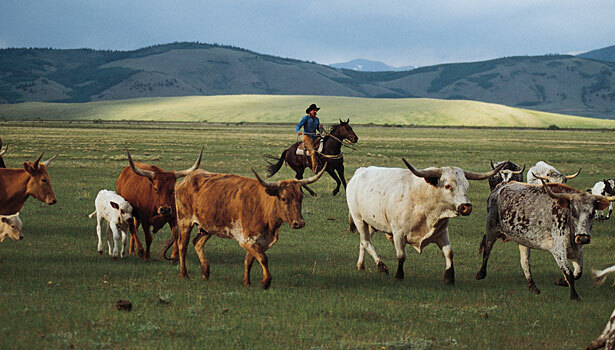 The farmers and ranchers in America are innovative, creative and exceptionally resourceful. They care about their animals and the environment, and are stewards to the land. “The American ranching industry has made amazing strides in improving sustainability over the past century,” says Jude Capper, sustainability consultant. Collett grew up on her family’s large commercial cattle ranch in Oreana, Idaho. Family owned and operated farms comprise 97% of total U.S. farm operations. Because meat products are raised in every state, this statistic points to the sweeping impact these farmers and families create. We have so many choices in our country when it comes to meat. 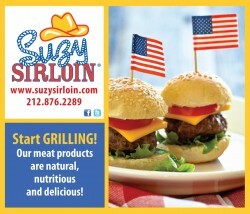 American meat is the best quality in the world; our product is safe and wholesome. Everyone should feel good about eating it. It tastes great, and not only is it good for you, but it is tremendously satisfying and filling. It is also economically versatile: You can find a nourishing product to fit even the tightest of budgets, even in a difficult economic climate. The people growing our food have been doing an outstanding job with social media, an outlet with growing importance in this day and age. Not only are they blogging, but they also are on Facebook, Twitter, YouTube, Foursquare, LinkedIn, Flickr and Pinterest. They are finding ways to allow consumers to find them and connect with them, and more importantly, they are telling their story. In an especially moving social-media campaign by the organization, the FarmOn Foundation, young farmers wrote, “Let us not only use our hands to feed the world, but our voice to change it.” With increased social-media coverage and knowledge, their goals can come to life. Meat is a celebration for many reasons. Thanks to meat, we celebrate the success of America, the gathering of families, health and happiness through food, and the work ethic of farmers and ranchers. Keep the celebration alive by supporting those who make this celebration a possibility..